È stato visto 254 volte. 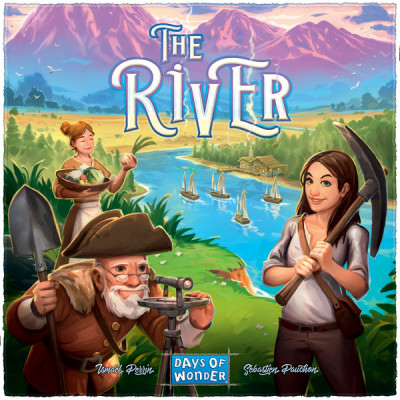 In The River, the mayoral players each want to develop land along a river bed in their town, collect resources from the area, and construct buildings that will bring new people to town. Some residents will perish along the way or perhaps merely be retired, although the effect is the same. You'll need more citizens to do all that you want to do, which includes making nicely organized landscapes to please the aestheticians in town.